Cough medicine overdose: Will you win a suit against your doctor? You must have read the report of how a 14-month boy was allegedly prescribed four times the dosage of a cough medication for his age, and was rushed to hospital after a suspected overdose. 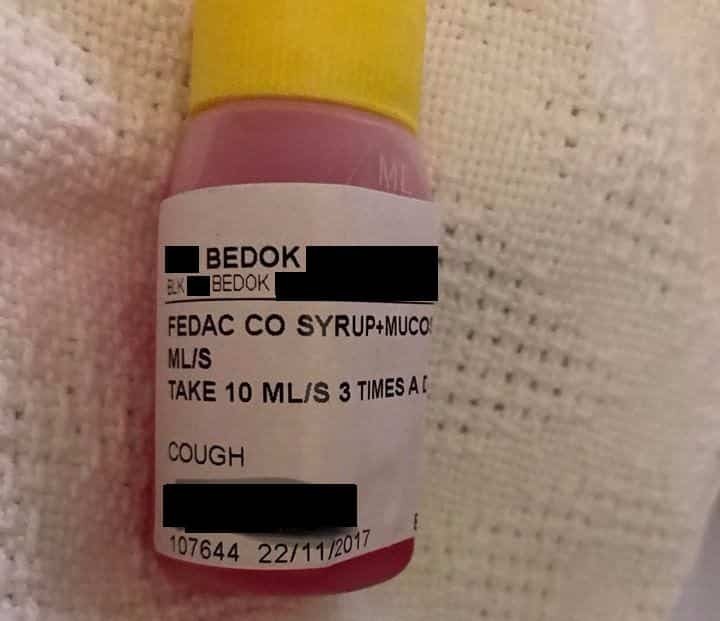 His mother, Belinda Lum, 33, took him to YSL Bedok Clinic and Surgery last Wednesday and after being seen by the doctor, was prescribed a bottle of Fedac syrup with instructions to take 10ml of it three times a day. What followed was emergency treatment at Gleneagles as the boy was given antidote and treated for overdose. It is not certain if Belinda would pursue legal action. Many think that it is difficult to sue a doctor. They appear to have a sheen of immunity, hidden behind the curtains of science. a.) Was there harm done? c.) Did the harm flow from the negligence? In determining whether or not there was negligence, courts will look at the conduct of the defendant to determine if there was sufficient care being exercised. Singapore has adopted new principals in evaluating medical negligence, this involves asking if the doctor had shared with you material information for you to make a decision. In the present case, the patient was prescribed a wrong dosage. It is not certain whether or not the doctor called for this dosage, or was there an error by the nurses. This would require some investigation. If the dosage was indeed prescribed by the doctor, then it must be established whether or not if this is course of action was something that would have been done by someone in the medical profession. If it can be established that another doctor would prescribe such a dosage, then chances are Ms. Belinda would lose the case. But even if there was negligence, the harm done to the child must be one that flows directly from the overdosage. If the child is suffering from some other ailment, or has a condition that interferes with the prescription, then there is no damage. The case may be dismissed. It is difficult to prevent harm from this sort of thing. The common person has little understanding of these things. Unless it is something so obvious, such as downing 10 paracetamol tablets… we normally trust our medical professionals to give us a correct prescription. When the worst does happen, we expect acknowledgement, responsibility and grief from the person whom has caused us and our family harm.